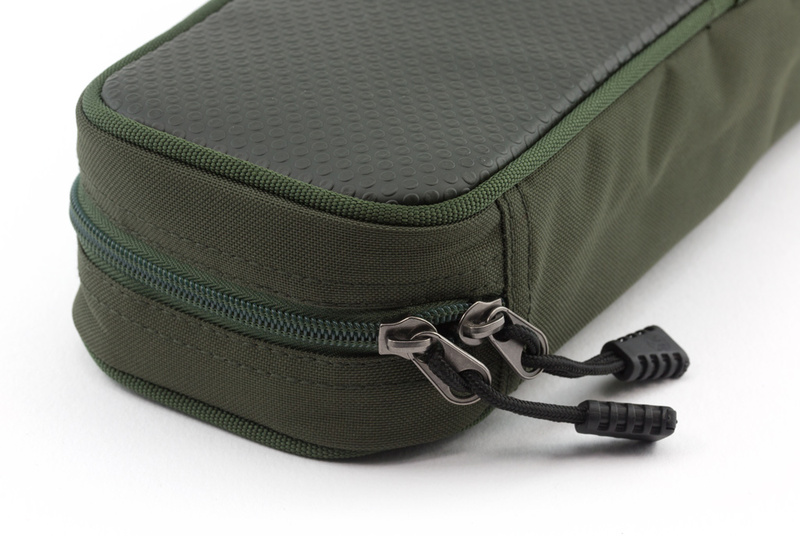 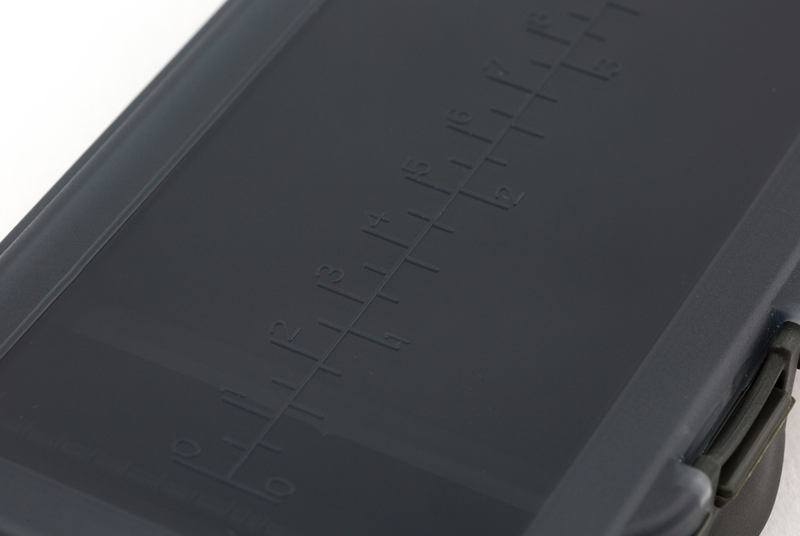 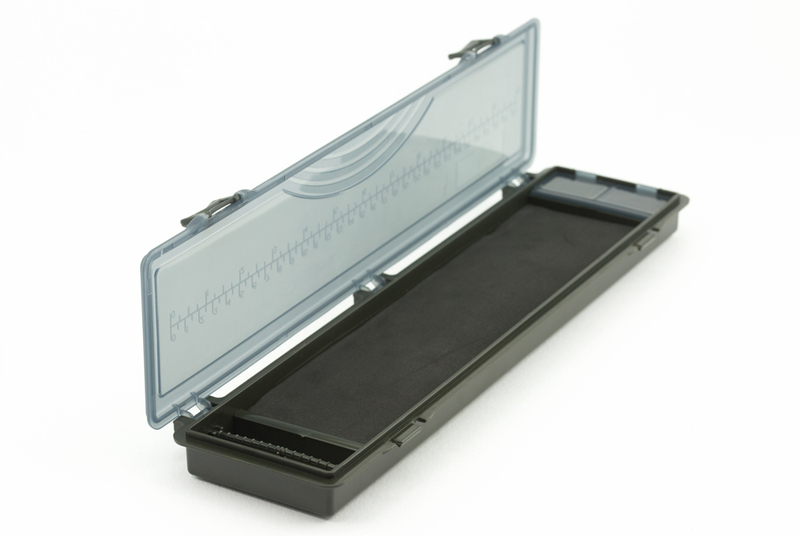 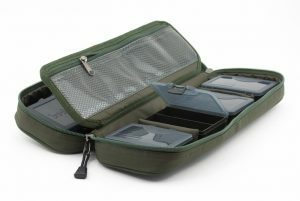 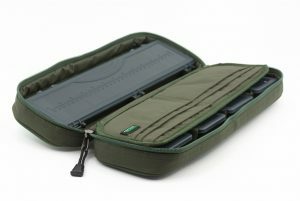 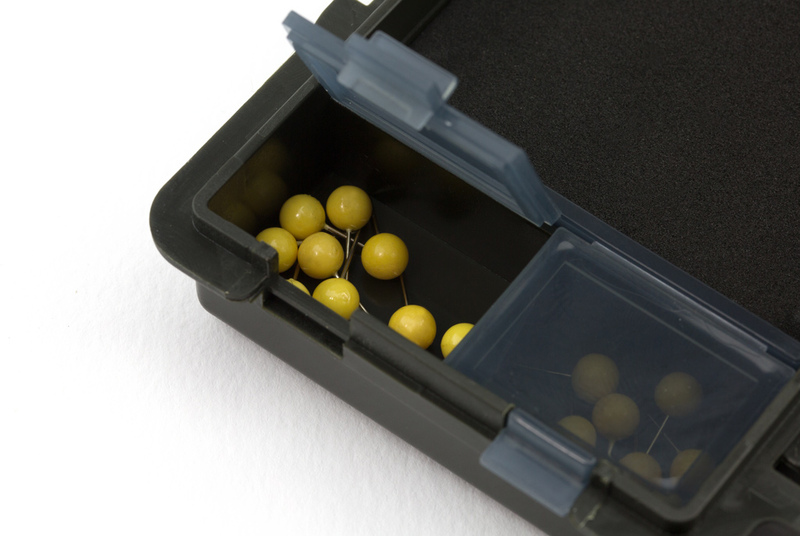 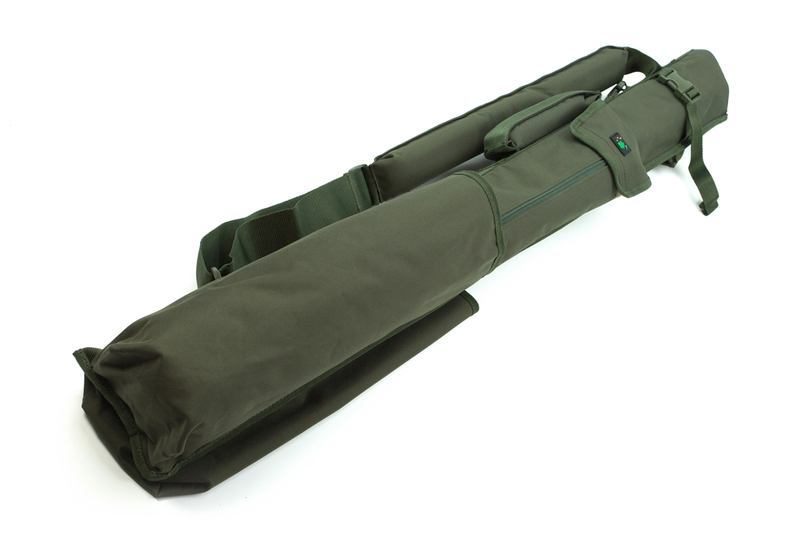 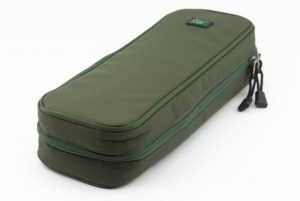 A compact tackle pouch that features four small compartment boxes and a 12-inch rig board, all of which are detachable. The inner divider has a zippable compartment that’s perfect for hook link spools and sleeves on the other side for packets of hooks or swivels for instance. 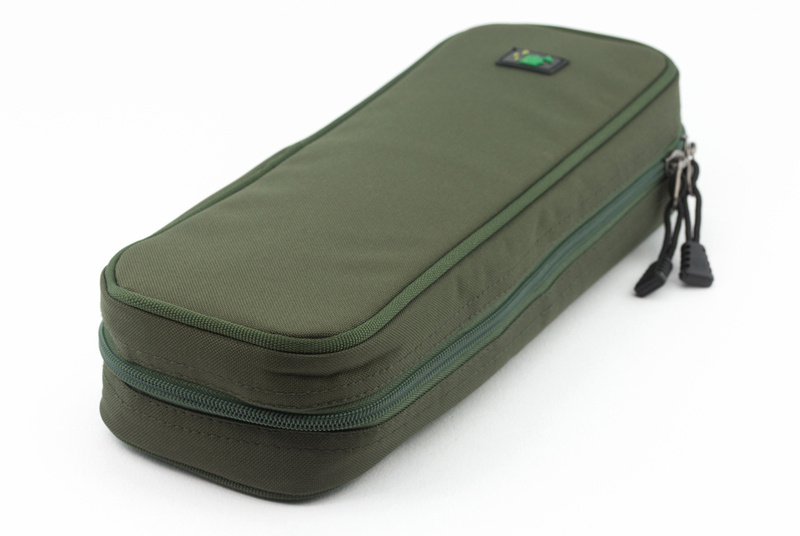 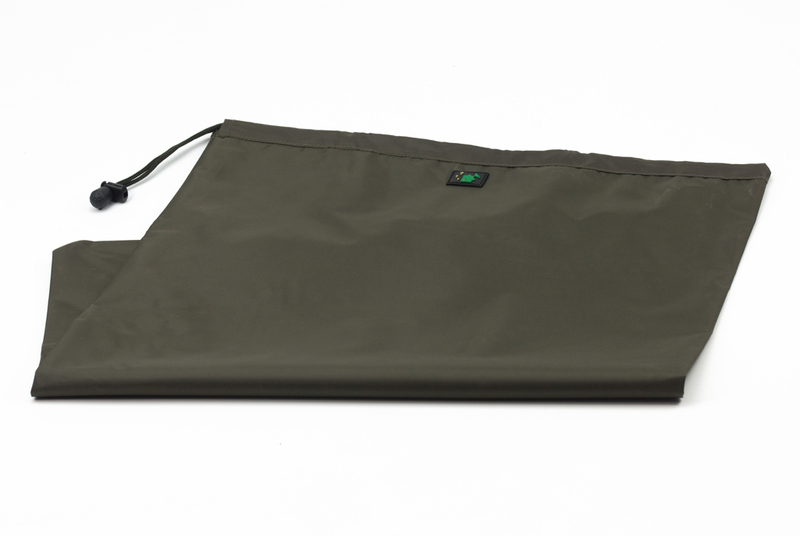 This tackle pouch fits perfectly on top of the Thinking Anglers Rucksack and has a wipe-clean, waterproof base.